Having a common computer for the entire family to use is both pocket-friendly and convenient. The trouble arises when you don’t account for each user’s unique needs and habits. Data leaks, lost files, accidental content purchases — a lot can go wrong if you don’t have a system in place to manage multiple users and their data. The good news is that most operating systems have an in-built setup to make computer sharing easier, if not ideal. macOS is no exception. The struggles of sharing a computer with your siblings… ? So how do user accounts work on a Mac? Can users read and edit each others’ files? What happens when you delete a user account? Let’s find out. User Account Types: Who Controls Your Mac? Before we get to the bit where you create a new user account, let’s get clear on the type of accounts you can create. This will help you pick the right one depending on the user you’re creating the account for. As the first user on your Mac, you’re already an administrator. You get to manage system folders, apps, users, settings — pretty much everything to do with your macOS desktop. If you wish to, you can share your admin superpowers with another user by creating a new administrator account. It bears saying that you should pick someone you trust with your Mac and your data. Someone who is tech aware and will use the administrative privileges responsibly. Also, it’s sensible to keep a spare admin account for yourself. It will come in handy if you are unable to log in to your usual admin account, need to reset its password, or for any other kind of testing or troubleshooting. This type of account is ideal if you want to give someone free use of your Mac without placing too many restrictions on them. A grown-up member of your family, for example. With a Standard account, the user gets to personalize their corner of your Mac and use it as they see fit. Rest assured that Standard users can’t mess with the data and settings of any other user on the device. The name says it all. This type of account is ideal if you want to place limits on your kids’ computer use. With a Managed account, your children get access only to the apps and websites you specify. Don’t count on it though, because a determined child might bypass parental control software 7 Ways Your Children Might Bypass Parental Control Software 7 Ways Your Children Might Bypass Parental Control Software Just because you've installed a safety net in parental control software doesn't mean your children won't find a way to navigate through it. Here's how they'll do it! Read More . Customize each managed account from System Preferences > Parental Controls. You’ll find plenty of options there. You can restrict the use of everything from cameras to multiplayer games to the iTunes Store. 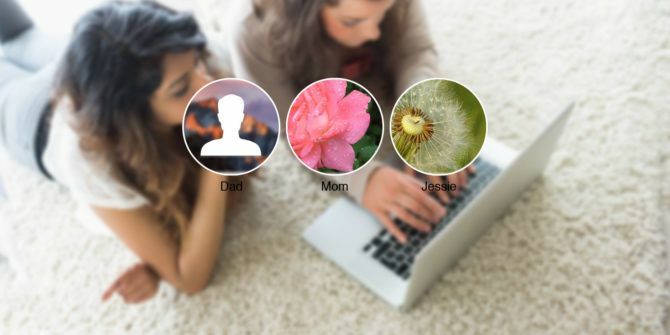 This gives you enough leeway to customize accounts for each of your kids depending on their age group. You can even set limits on screen time The Best Tools for Limiting Your Kids Online Screen Time The Best Tools for Limiting Your Kids Online Screen Time The time kids spend online is just as important as what they see. These are the best tools for limiting your child’s screen time on the internet and their mobile device. Read More ! A user with this type of account cannot login, let alone edit anything on your Mac. They only get remote access to shared files for which permission has been granted, or to your screen if you happen to be sharing it. There are times when someone requests one-off access to your Mac, say, to check their email or to look up something on the web. In such cases, I would first recommend pretending your computer is down with the flu. That’s bound to be easier than not worrying about how your beloved desktop will suffer at the hands of an almost-stranger. If that fails, well, you can bring out the guest user account. You don’t have to create one for each temporary user. Activate the Guest User account that’s already listed under System Preferences > Users & Groups. Check the box for Allow guests to log in to this computer to do so. Now a guest user can use a “sandboxed” area of your computer without a password and use it like a regular user would. When the user ends a session by logging out, the files and folders leave too — they get deleted. Of course, the guest user gets a warning prompt first. You can also lock down portions of macOS by setting up parental controls for the guest user, if that’s any consolation. Select the Enable parental controls checkbox when you’re enabling guest user access. Then specify the restrictions you want to set up from System Preferences > Parental Controls. You’re free to do this anytime. When you set up a new user account, macOS creates a dedicated home folder for that user under /Users. Once the user logs into the new account, macOS prompts them to sign into iCloud (not mandatory) and finishes the usual setup process for first-time users. What shows up next is a brand new desktop — the kind you got when you first set up your Mac. The dock, menu bar, keyboard shortcuts, stock apps, and so on are all in their default state. The user is free to personalize the desktop Top 7 Ways to Personalize Your Mac Desktop Top 7 Ways to Personalize Your Mac Desktop Want to make your Mac more personal? Check out these awesome methods for customizing your Mac theme and more. Read More with custom wallpapers, icons, iCloud settings, and so on. This is a Standard user we’re referring to. A “managed” user has fewer options. App settings for one user don’t overlap with those of other users using the same apps via a separate account. By default, the contents of the new user’s home folder (except the Public folder) are inaccessible even to you, an administrative user. There are ways to bypass this barrier, and we trust you’ll look them up on the web if the need arises. macOS keeps advanced settings under lock and key. A Standard user cannot make tweaks that will affect anything more than his experience of the macOS desktop. 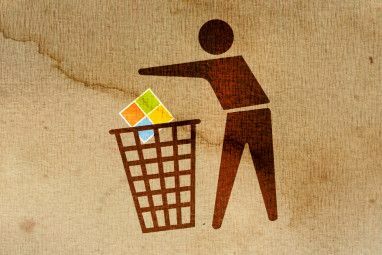 Removing apps that he has not installed or disabling an antivirus program, for example. Those tweaks need admin privileges. If a regular user attempts advanced tweaks, macOS blocks them by throwing up a prompt for an admin user’s credentials. Keep in mind that entering those details gets the user in, admin or not. That’s why you need to choose your password with care 7 Ways To Make Up Passwords That Are Both Secure & Memorable 7 Ways To Make Up Passwords That Are Both Secure & Memorable Having a different password for each service is a must in today's online world, but there's a terrible weakness to randomly generated passwords: it's impossible to remember them all. But how can you possibly remember... Read More and not share it with anyone. When you create a fresh account, it takes up nowhere near the hundreds of megabytes you’re probably imagining it does. Try kilobytes. Of course, once the user logs in and goes about their day using apps, saving files, downloading photos, and so on, the used space reaches megabytes and soon gigabytes in no time at all. With every user following this pattern, running out of disk space is always on the horizon, no matter how much storage you started out with. Deleting junk data often Clearing Out Clutter Is Good For You — But Why? Clearing Out Clutter Is Good For You — But Why? Decluttering is a great way to start the year feeling fresh, and it gives you a big sense of accomplishment — but there's more to it than that. This simple habit can improve your life. Read More . Moving files to cloud storage or an external disk and removing them from the Mac whenever possible. As an admin user, you’ll want to ensure that all users have access to useful common content like music and movies. This will cut out on potential space-hogging duplicates. Also, get familiar with everything you can do to free up space on your Mac Everything You Can Do to Free up Space on Your Mac Everything You Can Do to Free up Space on Your Mac Your Mac only has a limited amount of available disk space – even more so if you're using a laptop. It's time to fight back and free up some serious space. Read More and then do it. Note: If you have set up Time Machine, every user’s home folder gets backed up to it, unless you exclude it from Time Machine’s preferences. You’ll find the account creation options in the Users & Groups section of System Preferences. To enable those options, click on the “lock” icon at the bottom of the dialog, enter your system password, and hit the Unlock button. Now click on the “+” plus button below the left-hand panel and you’re all set to create a new user account. At this point, a fresh dialog box drops down. The first thing you need to do here is pick the type of account you want to create from the New Account drop-down menu. We have discussed account types above, so you know what your options are. Ignore the Group menu option for now. We’ll tackle it later on. The next part is easy — fill in the required fields in the dialog box and click on the big blue Create User button. The new user account should show up in the side panel. If you selected the wrong account type, don’t worry. You can change it anytime. Let’s say you have a Standard account that you want to turn into a Managed account. Select the account from the left-hand panel and check the box for Enable parental controls in the right-hand panel. Now you have a Managed user account. Select the checkbox for Allow user to administer this computer and you have an Administrator account instead. You might want to set up a master password using the “gear” button located next to the “plus”/”minus” buttons. This will help you reset the password for any user’s account if he can’t recall it. One more location you’ll want to explore lives behind the Login Options button below the user accounts list. From this location you can select whether you want the login window to display user name and password fields or user thumbnails. For security reasons, you’ll want to avoid setting macOS to automatically log in to an admin account. You can also enable the fast user switching menu under Login Options. This allows you to switch between user accounts from the menu bar. When you no longer need to keep a particular user account, it’s best to zap it instead of letting it lie around using up resources. To delete a user account, select it from the left-hand panel under System Preferences > Users & Groups and click on the “minus” button below the panel. The account name appears grayed out if its user has logged in, and you can’t delete/edit it until the user has logged out. Now’s the time to decide what you want to do with the home folder of the account you’re getting rid of — save it as a disk image, leave it intact, or delete it. Choose one of these options in the box that pops up and hit the Delete User button. You might still find residual files related to the deleted user account in shared folders and Time Machine backups. Get them all if you can. Deleting an admin account is fine, but deleting the admin account you created when you first set up your Mac can prove disastrous. What Is a Group and How Does It Help? While creating a new user, you might have noticed the Group option in the New Account drop-down menu. Wondering what groups are for? Well, a macOS group gives you a way to pass on special privileges to a bunch of users at once. It doesn’t matter if the group’s users are on the same Mac or on different Macs on the same network Establish File-Sharing & Notifications Between Networked Macs Establish File-Sharing & Notifications Between Networked Macs Read More . With a group setup in place, granting members of the group access to specific files or even sharing your screen with all of them at once is a lot easier. Once you create a group from System Preferences > Users & Groups, it will show up below the list of user accounts. Select the group and then in the right-hand panel, select the checkbox for each user you want to add to the group. Now, for any file (or folder) in Finder, you can assign read-write permissions group wise from the file’s inspector dialog (File > Get Info). You can also grant or restrict access of groups to specific shared folders under System Preferences > Sharing. If you’re protective of your Mac and consider it your “territory”, you might be hesitant to let anyone use it, even for a little while. But sharing computers is sometimes inevitable, whether you’re doing it to reduce tech expenses How to Slash Your Household Expenses in 7 Easy Steps How to Slash Your Household Expenses in 7 Easy Steps Tired of seeing all of your income go towards bills and expenses? You aren't alone. We show you some of the best ways to slash your household expenses. Read More or to help someone in need. At least you can control which part of your Mac and your data you share. That’s something. Do you share your Mac with a family member, roommate, or a friend? What does your sharing setup look like? Has it caused any problems for you? Explore more about: macOS Sierra, User Account Control.